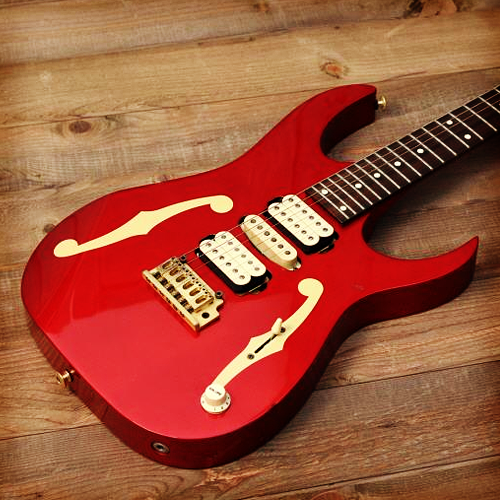 The Ibanez Paul Gilbert PGM400 is a PGM series guitar model, a signature model of guitarist Paul Gilbert. 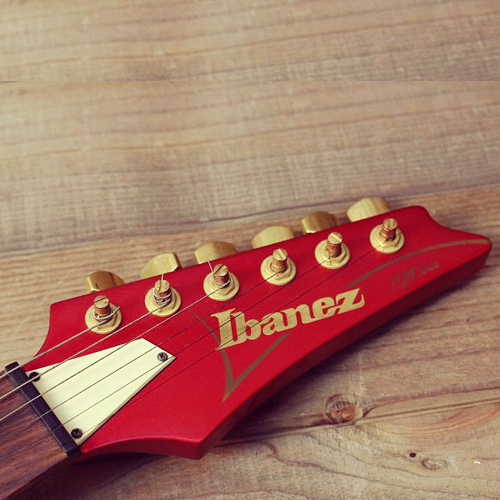 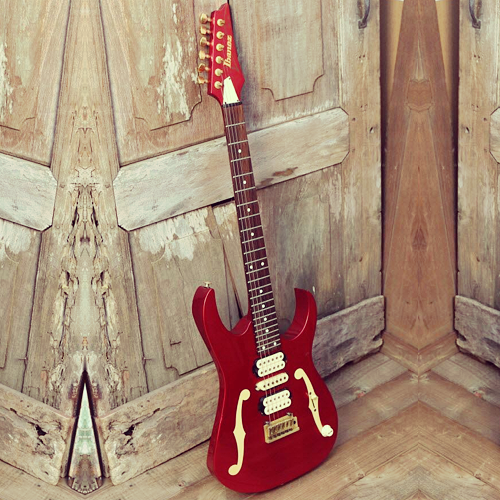 The Ibanez PGM400 was introduced in 1993, the first limited edition PGM model ever and all guitars were signed by Paul Gilbert himself. 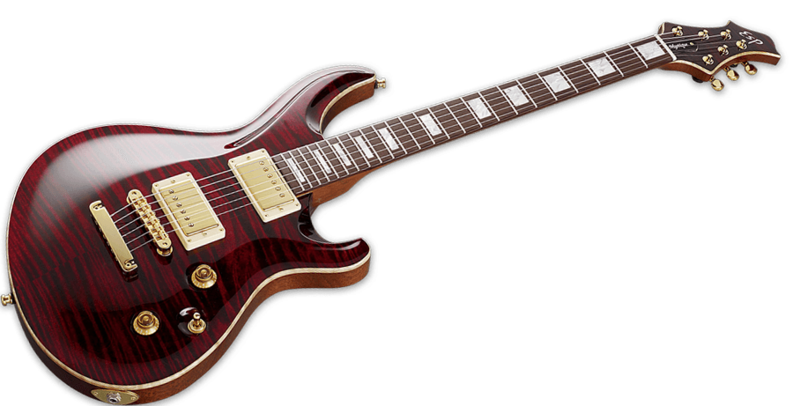 The guitar has an alder body, maple wizard neck and an Ibanez TZ6 tremolo, making it the only Ibanez PGM guitar with a vintage tremolo. 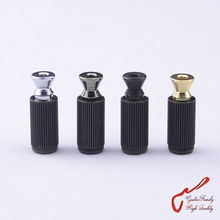 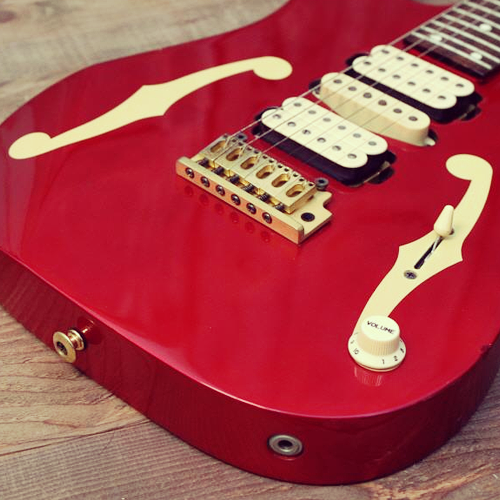 All other PGM guitars have either double locking tremolos or fixed bridges. 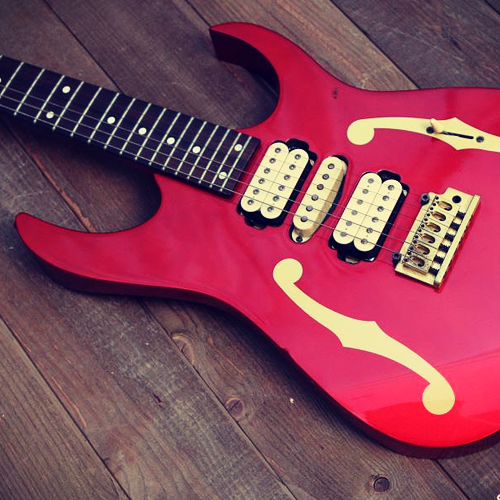 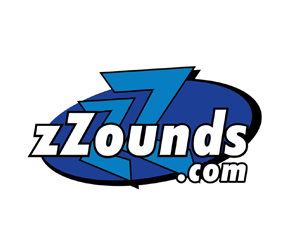 It also has Paul Gilbert's signature painted F-holes with a volume knob on the bottom F-hole. 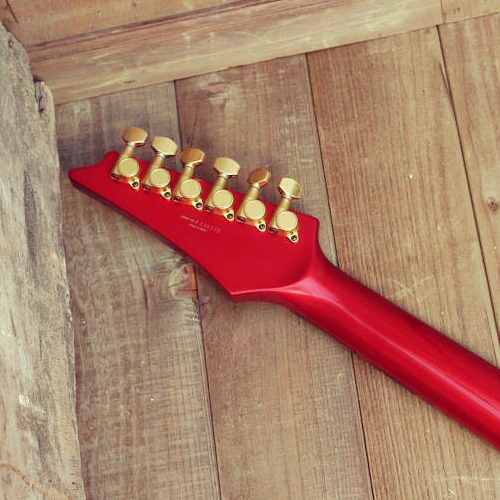 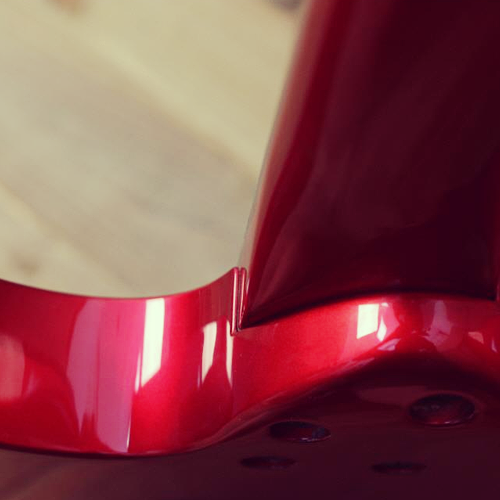 The wizard neck on this model matched the color of the body which is Candy Apple Red.